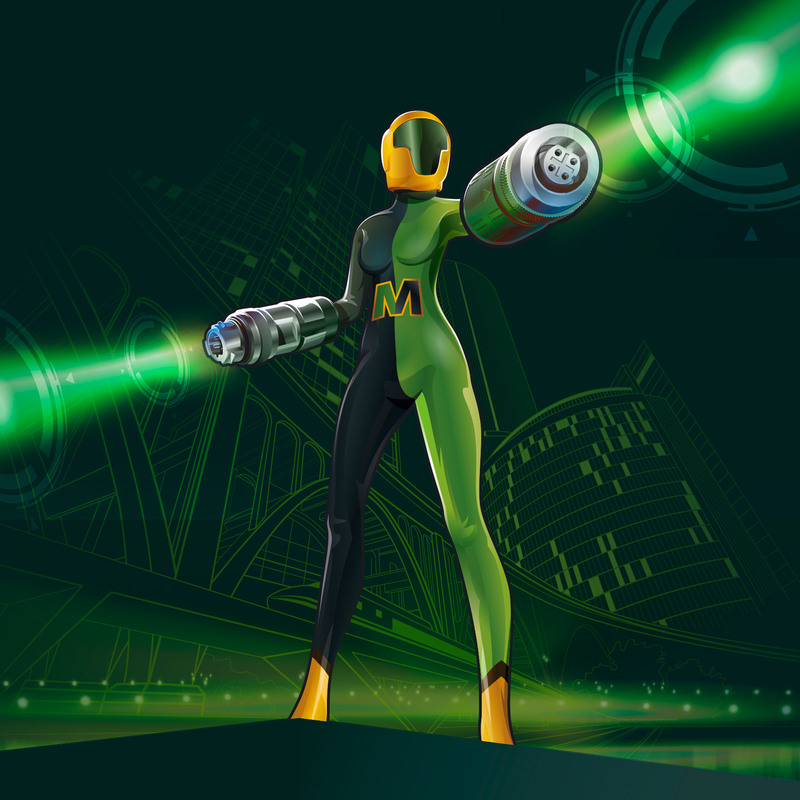 With its PushPull interlock mechanism, Dr. Metrix is HARTING's new heroine for the world of circular connectors. A comprehensive PushPull solution for the entire spectrum of factory automation. A completely integrated solution that eliminates the typical problems faced by automation users – such as long assembly times, space constraints and unsafe connections. Her mission is to ensure fast and secure connections in harsh industrial environments. With M12 PushPull connectors for upright and recessed sockets, she satisfies the special requirements of device manufacturers. Click&Run! 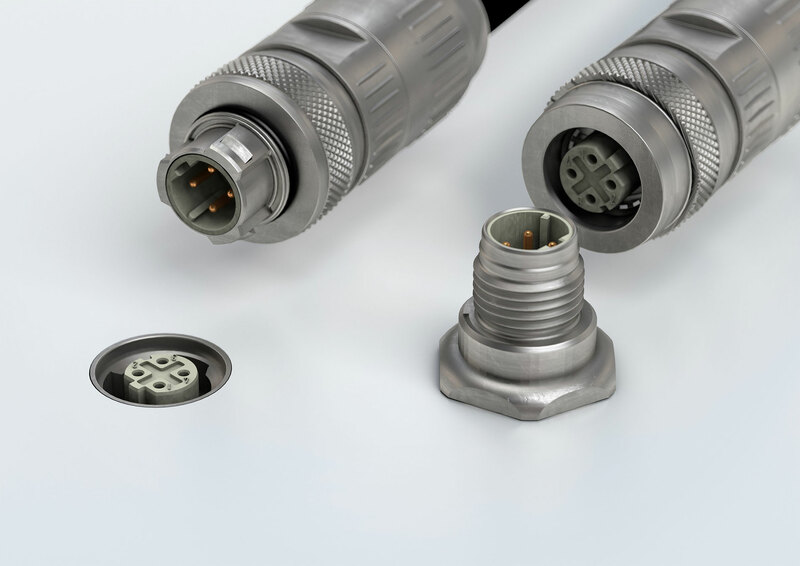 Manufacturers of industrial connectors are taking big steps towards tool-free PushPull interlocking. For circular connector applications, this type of interlock is already known from its M12 railway usage. HARTING has long been well established on the market with its popular M12 PushPull solution, and has set the standard for the transportation sector. 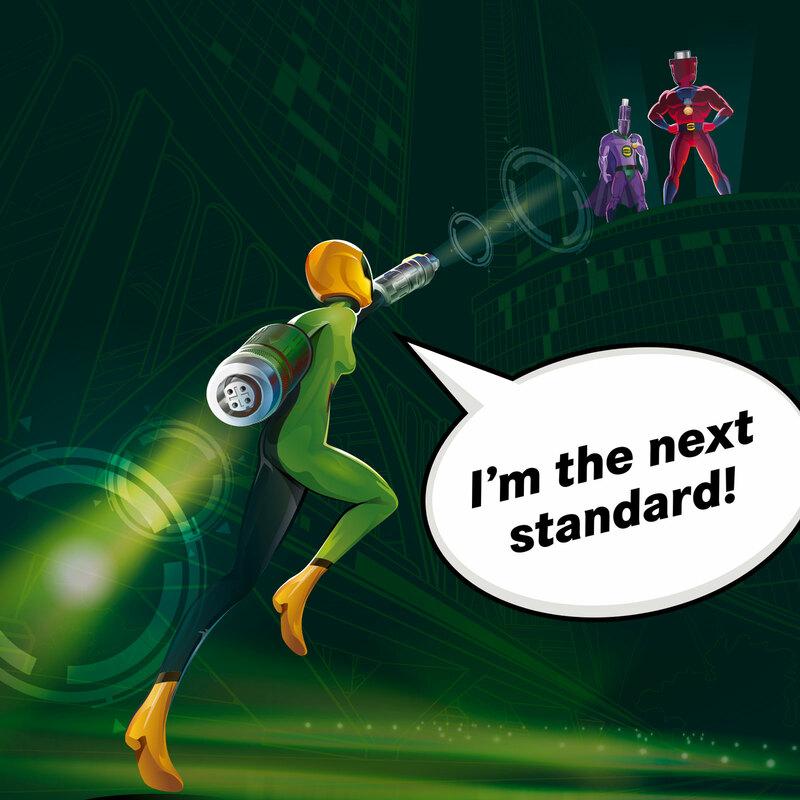 HARTING is now sending Dr. Metrix into the field to overcome the problems of automation, including excessive assembly times, unsafe interlocks and forgotten assembly tools. It represents a cross-market M12 PushPull solution that is capable of connecting to both vertical device sockets and recessed sockets. And, because the dark sides of the field level can be conquered better in a team along with a strong shield, Dr. Metrix is not setting out alone. Together, with a spirit of partnership, HARTING and other industry representatives are moving forward with a common standard. This standard is the shield for our heroine and a guarantee for our users. Not a proprietary solution, but a cross-market standard is what ensures investment security and cross-market compatibility. The development of an M12 PushPull for recessed device sockets has required a completely new constructive approach. Superpowers: Capable of bringing PushPull to any standard circular connector interface – thus enabling fast and secure connections for the IIoT. Appearance: Strong and attractive, arms with inner/outer PushPull interfaces and variable arm length for connecting any device. Configuration: Mobile Hyper-3D printer for implementing PushPull for interfaces while travelling through the IIoT world. Movement: Capable of dematerialising and travelling as a data flash through the Internet. Colour: Elegant green with HARTING yellow. Miscellaneous: Good friends with Captain ix and Twister, and helps both to implement PushPull for ix and T1. Miss M8thy admires the great Dr. Metrix and also aspired towards the goal of implementing M8 as PushPull. Characteristics such as quantity and form factor have a more important role here than the absolute robustness for every conceivable application on the rail. This requires a different approach: being as good and robust as necessary while at the same time being as affordable as possible. Backwards compatibility was also a clear need for users, and M12 PushPull naturally also meets this requirement for recessed interfaces. The result is an IEC 61076-2-010 solution that offers factory automation users a comprehensive system of M12 connectors with the simple and time-saving PushPull interlock.